Artist Trading Card - "Love"
This is a Valentine ATC I made to play along with the Lindy’s Stamp Gang Color Challenge for February. 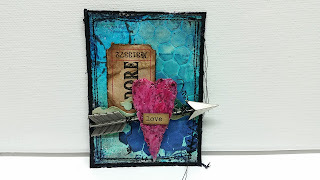 In the video, I don't show how I made the background or the heart embellishments. I will try my best to explain my process. Be sure to check out the supply list below! First, I put down some freezer paper. 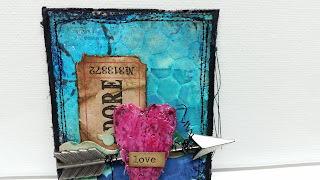 Then I took the Crafter's Workshop "Spilled Hearts" Stencil and some Golden Molding Paste. I applied the molding paste (in a fairly thick layer) thru the stencil right onto the freezer paper. 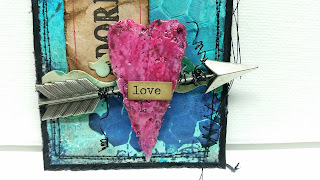 Then, I let the hearts dry for at least 12 hours until they were completely dry. When they were dry, I used a thin metal spatula to get underneath the hearts and picked them up. It is important the paste is completely dry because if it’s not, they will get ruined when you try to peel them up off the freezer paper. Et voila! Instant heart embellishments. You could do this with any kind of stencil that has a lot of open space. My mind is reeling with the possibilities! Heidi Swapp Ink Pad in "Teal"
Thanks, Shelley! Once dry, the sprays are permanent. Which is perfect for mixed media! Love love what you have done and thank you for the video!! 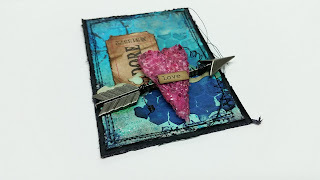 I adore your atc's. 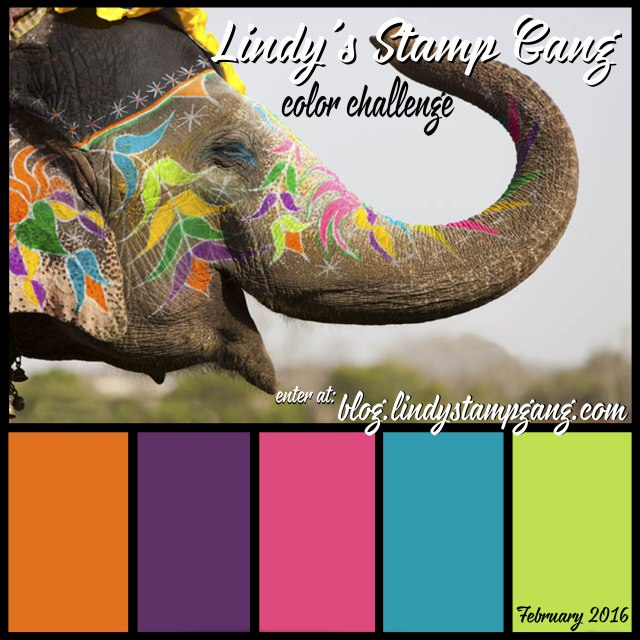 Thank you for joining us for the Lindy's Stamp Gang Challenge this month!! Did you know that you can create short links with AdFly and get money from every visit to your shortened urls. 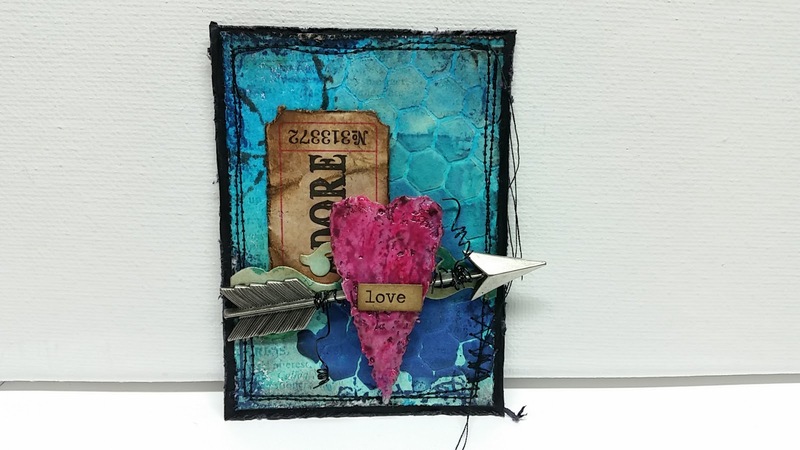 Mixed Media Tag - "Watercolor Flower"
Art Journal Page - "Brutal Memory"
Art Journal Page - "Our Memories"
Art Journal Page - "Keep Moving Forward"